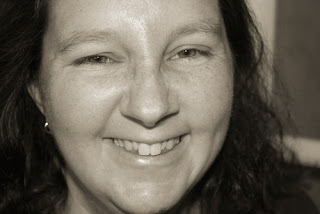 Guest Designer: Becky Williams and a GIVEAWAY! - Pebbles, Inc.
What a delightful creative style Becky has! All of her projects are so colorful and unique. I especially love per layout of the professional drooler! TOO CUTE! 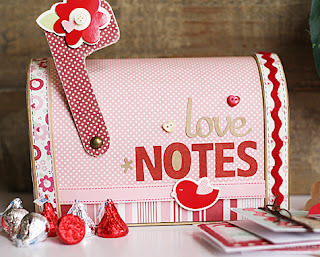 my fav is the love notes mailbox…so sweet! Becky, you are such a rockstar!! Love all the creations and the details are amazing. Congrats on your guest stint! I love all the projects so much! Very inspiring and so, so cute! If I had to pick just one though, I’d have to say I love that sweet little baby face too! 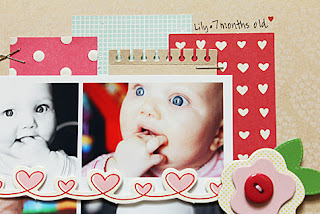 What an adorable LO and of course the photos are precious! I love her style and the way she leaves blank space without making it feel like blank space. I love them all, but that “professional drooler” page is pretty freaking adorable, so I’ll go with that as my favorite. beautiful layout! I love the “drooler” one…the colors are awesome! congrats! and gorgeous work (as always) I LOVE that fresh goods paper. I have to get some of that! Pebbles goodness everywhere WOW!!! My favorites are the 2 first layouts …they made me smile 🙂 Thanks for sharing your beautiful work Becky !!! Boy, she had some lovely projects, but my favorite was the last card. Thanks for a chance at some goodies! Becky what an amazing way to show off your beautiful work and get to know you better!!!!!! Wow Becky, everything you’ve created is just darling! I really love them all but my favorite is the last card. Since I have to choose!! !…I love her ‘love notes’ mail box and note cards. That is just too adorable. I think that would make a great Valentine’s Day box for Valentine’s from school. I am off to find a mail box! Wow, what gorgeous work!!! If I have to choose a favorite (which is hard!) I’d go with the first layout. The colors just pop! I truly love all of Becky’s work! She has some talent!!!!!! I’d choose #1 if I have to! 🙂 Thanks for a chance to win some of your yummy goodies! Best wishes for a happy New Year, too! 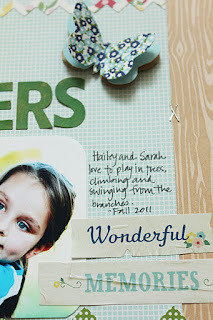 I love ALL of Becky Williams projects–her blog is my favorite to visit! So excited to see her guest designing for Pebbles :-). 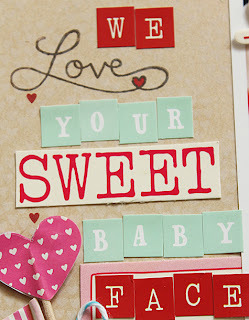 My fave was instantly “We Love Your Sweet Baby Face”–love all of the pics and awesome blend of products :-). 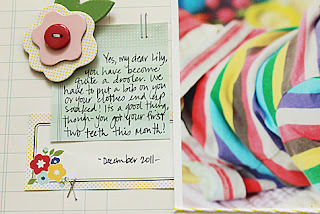 Love all of Becky’s projects but if I have to pick one it is the mailbox – so cute!! Thanks for the chance to win some fantastic pebbles goodies. Love, love, love them all! I am such a huge fan of Becky’s!! Congrats on the guest DT Becky! Wow, those are some amazing layouts and cards! I love the titles on the layouts, very creative! My favorite is the first layout! I love the tree hugger!!! Oh I love them all, but Professional Drooler is my fave!! Love how she cordinated the colors with the shirt!! What beautiful projects! Becky is so talented! My favorite layout is Tree Hugger, but I just love the mailbox and card set. So cute! 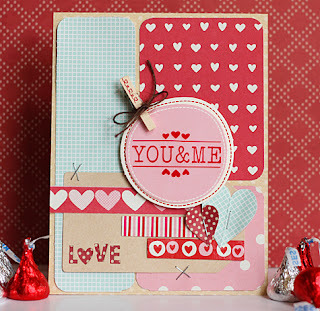 I love her You&Me card totally sweet !! all projects are gorgeous. ‘Nice having you around’ is my fav. becky you are amazing girl!!! looove all these projects and how bright and happy they all are! congrats. LOVE all your projects, Becky!!! You have such a beautiful, fun style! I love your projects! I especially love the last card. TFS! So many beautiful projects! if I HAVE to pick one, i would pick the professional drooler layout. The professional drooler is too cute. i am a huge fan of Becky’s work….amazing style! i refuse to pick one! i just cant! congrats Becky and great projects!!! LOVE the top Sweet Face lo, those pics are priceless and precious and that mail box is toooo cute!!! 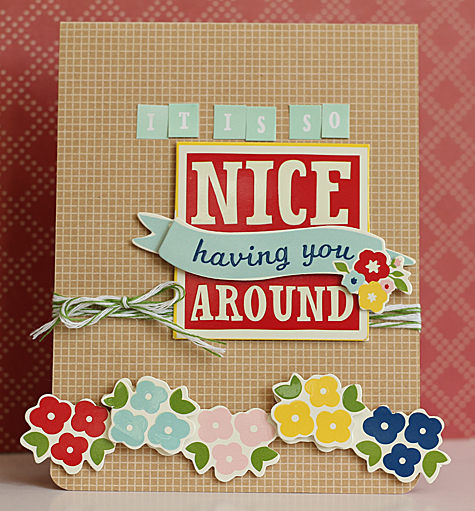 Becky’s projects are always eye-catching! Just from this post, Professional Drooler is my favorite for its bright colors and fun use of Pebbles patterned paper. TFS, Becky, and thanks, Pebbles, for the chance to win! Great projects! My favorite is the professional drooler! I have to pick the professional drooler layout as my favorite. 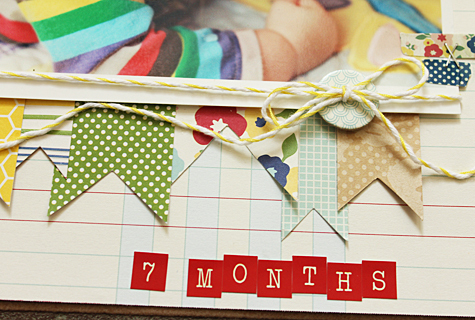 I love the bright and cheery colors and that funky flower and staples. Super cute! Wow! I think Becky is my favorite guest DT that you’ve had on here! She really knocked it out of the park here! Great job, Becky! I really really love Becky’s baby face layout! That just touched my heart! So super cute! Love your style Becky! Are you kidding me??? CHOOSE??????? The title on professional drooler cracked me up and actually looks like something I would come up with. But the Sweet Face one stole my heart…..ADORABLE!!! Your stuff is AWESOME Becky!!! Lots of ideas flowing through my mind now. Loved them all but my favorite is Professional Drooler….what can I say I am a momma of a boy!!!! 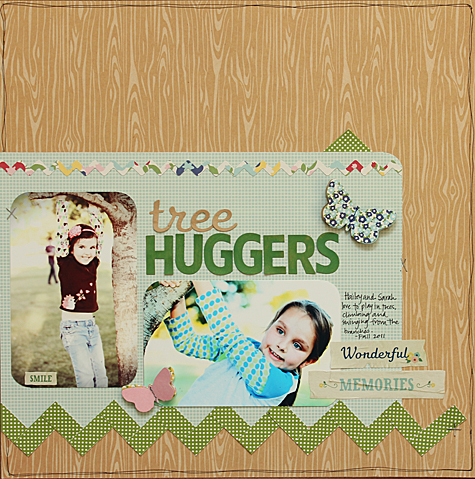 I love the tree hugger layout! I just love Becky. She’s become a sweet friend and is an amazing designer. Her work always makes me want to scrap. I love what she has done with the Pebbles products! 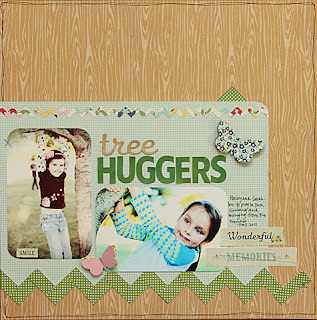 I especially love the Tree Hugger layout… so peaceful looking! Those layouts are so sweet!! Beautiful projects, as always if they are from Becky!!! Just love your work, girl! Becky is sooo talented. I love the “Professional Drooler” page. It just makes me smile!!! Oooh I love them all so much! I’d have to say the Professional Drooler is sooo cute! But all are gorgeous!!! I love all the projects! If had to pick one it would be the Professional Drooler LO! Love the decorated mailbox. So cute. My favorite is “We Love Your Sweet baby Face”. Love how you used color and black & white photos together to help each one stand out. What beautiful projects! My favorite layout is Tree Hugger, but I just love the mailbox and card set， they are so cute!! Have been watching Becky’s work for a while and it is soo hard to choose one favorite, she is so talented! I love that little mini love you mailbox, it is just darling! Everything Becky created is awesome! But my favorite would have to be the mailbox, I love the note cards. Thanks for the inspiration!!! Wow! All of the projects are so amazing! My have layout is the first one: We love your sweet face! What great style! Love all her projects, but the professional drooled LO is my fave! You totally rock, Becky 🙂 Hard to pick just one favourite, but I think it’ll have to be “Tree Huggers”. love the colors and the design! I always love looking at her layouts… but this round, the mailbox tops them. Just love that awesome mailbox! Everything is absolutely amazing!!! I am sooooooo picking the Professional Drooler Layout, though!!! ALL of Becky’s work is magnificent and beautiful…so I took a different approach and chose the catchy title! TOOO TOOO Stinkin’ cute!!! LOVE IT!!!! It’s so nice to get acquainted with you Becky! You have such a fresh and pretty style. Your LOs and projects are very inspiring. Thanks for sharing and looking forward to seeing more of your great work. i love pebbles! and I love becky…love her projects hered,such inspiration! Great post! I really like that mailbox using the With Love line, it is adorable! I have loved Becky for a while!! She has such a fun style 🙂 I really love the Baby face layout because the colors are so fun and bright. hard to pick just one, but I LOVE “professional drooler” LOL, too cute! Wow! Becky, you are so talented! I love all the projects, but, my favs are the Valentine’s Day Cards. Love the professional drooled. It’s too stinking cute. That Love mailbox is ADORABLE! What awesome projects! My favorite was the Love Notes Mailbox because I remember as a child making a mailbox like this for my valentines cards from school. Love, love, love the “professional drooler”. 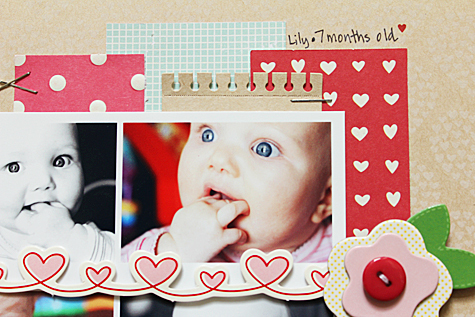 The whole layout is just perfect..perfectly adorable!!! 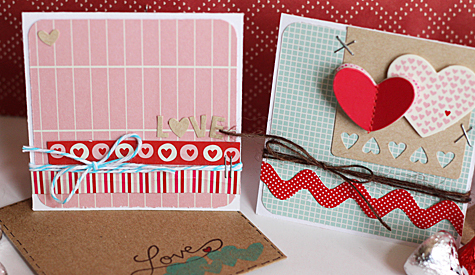 I love the mini mailbox and Valentine cards! Sweet project! Welcome Becky! your projects are awesome and the first page posted is my fav! Becky, these are fantastic! I LOVE seeing you work with Pebbles product. What a great match-up! the professional drooler : really cute ! Great project, i love the Fresh Goods line so much. Oooohhhh loved everything but the cards really caught my eye! Loved the one with the 3d heart! 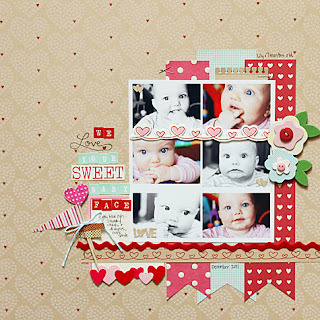 They are all cute, but I love the ‘sweet face’ layout! Love them all, but if I HAD to choose JUST one, I’d say the sweet baby face! I love the Professional Drooler layout. Beautiful! What a fun use of color against the white.